The Suhr Classic T evokes the electric guitar that started it all. Digitized from an original '52 slab body. This Classic T combines legendary design with modern improvements and the extra range of 24 frets. The innovative Suhr Modern Pro is Suhr's high-performance take on the 24 fret design. From the speed and precision of Fusion to the pounding rhythms of Metal, the Modern Pro is designed to deliver on every level. With its sleek elliptical neck profile, balanced asymmetrical body, and innovative neck heel, the Modern Pro delivers unmatched playability and comfort. Top quality wood selection and lustrous finishes make the Modern Pro as stunning to look at as it is to play. 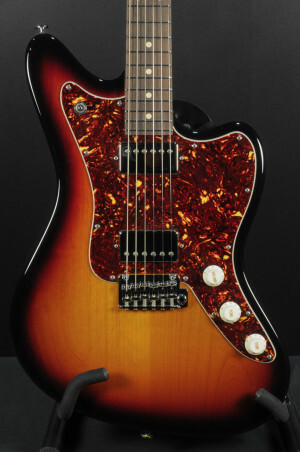 Quality tonewoods and Suhr pickups ensure the Modern Pro is never short on tone. If the ultimate in performance and beauty is what you are after, look no further than the Suhr Modern Pro.